If you have studied ILSPA’s Legal Secretaries Diploma course, you will already know that a leasehold estate is one of the two ways under the Law of Property Act 1925 that you can own land in the UK. Leasehold is a form of ownership that allows you a temporary right to hold land or property. The length of this temporary right is often measured in decades, usually 99 or 125 years. What you have not bought when you obtain a leasehold title is the land a property stands on. The land is owned by a freeholder or landlord, who will charge a ground rent. The various laws governing leasehold property evolved in England during the Middle Ages and, as a result, the law still retains many archaic terms. Despite the law’s ancient roots, many newly built properties are leaseholds, with around three million people in the UK owning leasehold flats. Land law in England and Wales effectively requires that flats have leasehold titles, with the freeholder being responsible for maintaining the communal parts of a building such as staircases, roofs and gardens. We will highlight below some of the pitfalls that can occur when a leasehold property is purchased without the benefit of well-informed advice. One of the main areas in which disputes can occur relates to service charges where the leaseholder is paying for maintenance of the building as a whole. It is the freeholder or their agent who decides what work needs to be done, who will do it and what it will cost. This imbalance of power between those occupying a property (the leaseholders) and the owners of the land (the freeholders) can not only create resentment but allegations of overcharging. Currently, anyone can be a freeholder or managing agent, and the leasehold sector remains unregulated despite many calls for an overhaul. One aspect of the Diploma course highlights the process for purchasing property in England and Wales (commonly referred to as conveyancing). 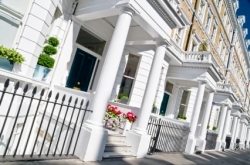 A properly conducted conveyance for a leasehold property such as a flat would detail a number of important points such as the level of ground rent, historical and future service charges, and projected expenditure including major works. Another area of concern when buying a leasehold is when buyers discover their full obligations under the lease only after they have bought the property. If a buyer has sought proper advice, then the terms of the lease should have been fully and accurately explained. A lease is an important document, and leaseholders must not only have a copy but should check it carefully. The wording of leases is usually in legal language and can vary from property to property. One of the tasks that Diploma students are expected to undertake is to prepare a lease so they become familiar with the common types of documentation used in this area of conveyancing. Hidden clauses such as a right for a freeholder to claim an excessive ground rent each year should be identified and disputed before any contract for sale is signed. When issues like this are only discovered after contracts have been exchanged, it is much more difficult to resolve a dispute. In most cases, leasehold property makes a perfectly good home and a secure investment. However, this relies on there being a well-written lease and a properly managed building, which should be determined by carrying out a well-organised conveyance. If you are particularly interested in the area of leasehold property, two organisations you might wish to consult are the Leasehold Advisory Service and the Association of Residential Managing Agents. Details of both are provided below.